φLOCK (PhiLOCK) is a new connected device that fits with any type of bike that prevents them against theft through a dual alarm & security cable system. Cast in a reinforced alloy fixation, the system stands guard, ensuring that no unauthorized person moves your bike: If φLOCK doesn’t recognize a user, the security cable will always stay locked and the alarm will sound until the movement stops. All around the world, huge efforts have been made to encourage bike usage these last years: More bike lines, more parking areas… It’s great! But some challenges still exist, discouraging many people to use their bicycle. One of the worst being theft. In NYC for example, more than 10,000 bikes are stolen every month! We wanted to do something to change this. That is why we developed φLOCK. φLOCK makes the protection of your bike more secure and more convenient, letting you enjoy care-free riding and providing unprecedented protection when you are away… with unmatched simplicity. φLOCK stands guard on your bike, ensuring that only authorized contatcs can use it. To do so, it uses a BLE (Bluetooth Low Energy) chip to connect with users. This means you can use your smartphone, your smartwatch or any BLE capable device to connect to your bike. φLOCK is also delivered with a dedicated BLE token you can add to your keychain. 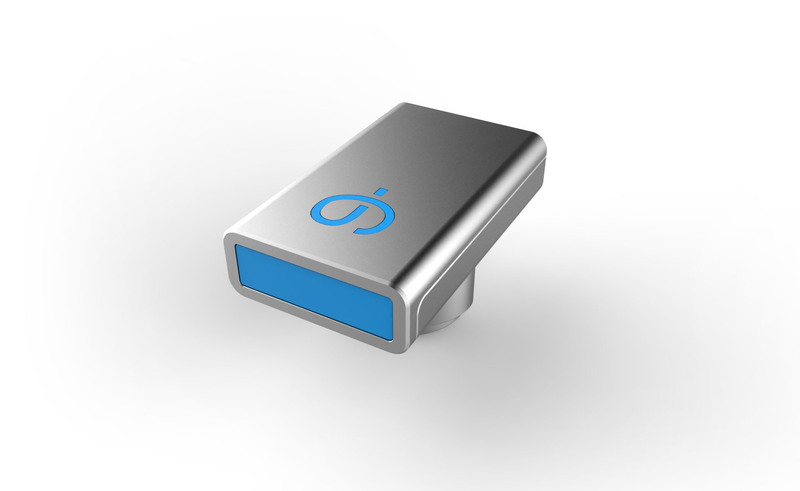 φLOCK also includes a group of sensors that keep an eye on your bike and its surrondings. Computing many variables they guarantee that the system is active to protect your bike while avoiding any unwarranted alarms. φLOCK has been designed to work with any standard type of bike. But your bike may not be the only item you want to protect: Scooters, strollers, hand trolleys, motorbikes… all of these can benefit the protection and the ease of use of φLOCK: The adaptable fixation allows you to install φLOCK on any device with a standard 1.5 to 3.5 cm bar. φLOCK uses a secured Bluetooth authentication process to connect to your smartphone, smartwatch or any other Bluetooth enabled device**. The system also includes numerous measurement tools to secure your bike, preventing any movement made without your permission. The technical arrangement were constructed in order to ensure the liability of these measures while limiting the weight of φLOCK and maximizing the battery life, lasting up to 3 months*. What is the size of φLOCK? φLOCK is approx 12×7,5 cm*. To ensure the liability of the connection and prevent unauthorised access, φLOCK uses the latest secured version of the Bluetooth protocol. New users will need to accept your invitation from the App before connecting. The casing is made of extra-resistent alloy. Current tests show that it is almost impossible to break it in real-life situations. We will release soon the results of the tests we are currently taking on the device resistance. What if my smartphone runs out of battery? You can connect with any other connected device you have like your apple Watch for example. You can also use the token included in your φLOCK pack. With a battery life lasting up-to-two-years*, it will always be there as backup. No, φLOCK does not include GPS. The device is meant to guarantee your bike isn’t stolen, not track your bike. φLOCK is designed to work on real-life conditions and weather. Tests and certifications are currently underway to define precise water and dust tolerances of the device.